Janssen is also the head of the research group Optimal Health B.C., another research group that is funded by the Canadian Institutes of Health Research. Janssen says that the reason it was decided to deliver the program via text message is because not every person has access to the Internet or a computer, but all the expectant mothers that are enrolled in the program do have cellphones. The text messages will be delivered free of charge throughout all of Canada’s wireless carriers. 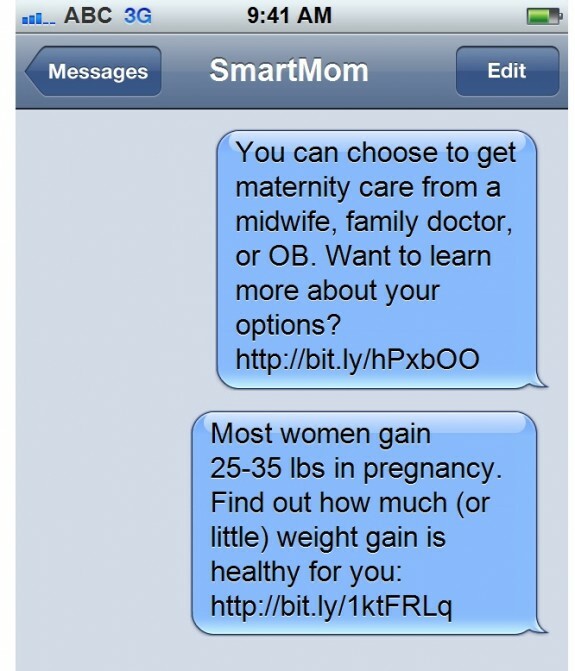 There will not be any cost to the users receiving the messages, nor for SmartMom Canada. Software developer MEMOTEXT is helping to develop the program at cost. While still in its early stages, the program is in need of another $100,000 before it can fully launch. Sadly, research budgets are decreasing and health care funds are in high demand. But the University has turned to the popular crowdfunding website Indiegogo to raise the needed funds to launch their educational initiative. Janssen, along with Asheya Kassner, the project director at UBC’s Child and Family Research Institute, decided to deviate from the traditional route of applying for grants. Both women attended Vancouver’s Pull Focus Film School, and along with help from students and teachers there created a video, which is featured on SmartMom Canada’s Indiegogo page. The Indiegogo campaign for SmartMom Canada has currently raised $3,600 to date, with approximately 19 days left on their project. $96,400 more needs to be raised before the project can fully come to fruition. To learn more, you can find the SmartMom Canada Indiegogo page at www.indiegogo.com/projects/smartmom-canada.